miles of each other. Their musical backgrounds are different but their commitment to music is the same. They met after high school and started playing at Tim’s “party house” on High Point Lane for friends and family. Things really started to rock with the addition of NYC vocalist/actor (Law&Order, All My Children), Ryan Brannan. Highpoint was finally complete by adding lifelong musician and longtime friend John Smith to equation. Nirvana, Meat Puppets, and Sublime), to name a few- and have recorded two full length albums, “Storyteller” and “Pop Cure”(available in stores & online) . 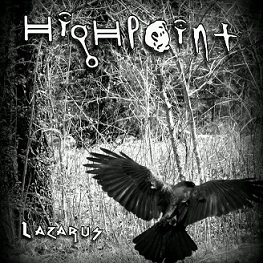 Highpoint is currently set to release their third full length album titled “Lazarus” very soon!